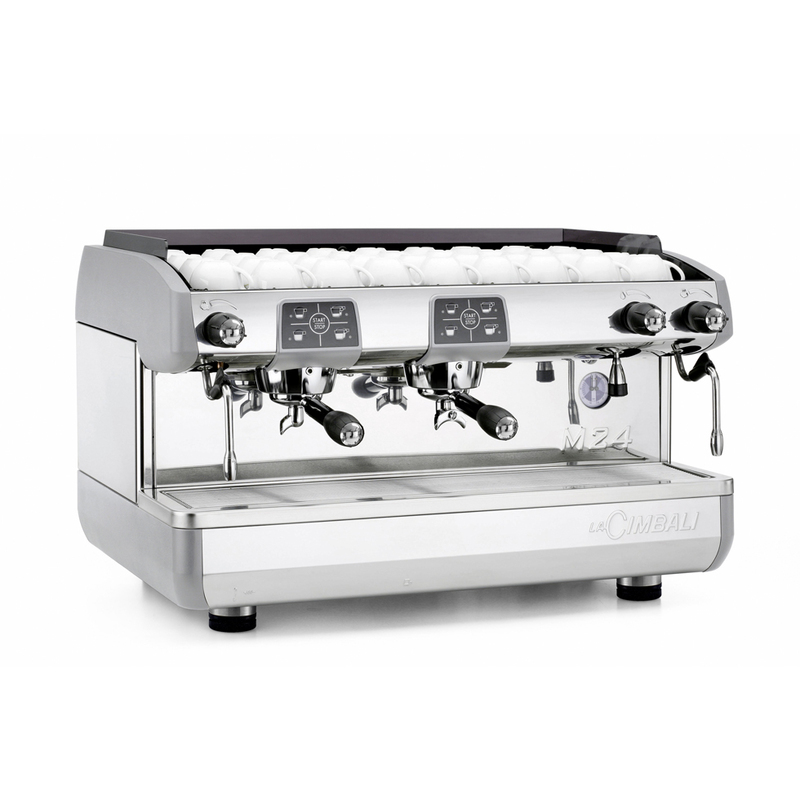 simple to use and characterised by high performance. 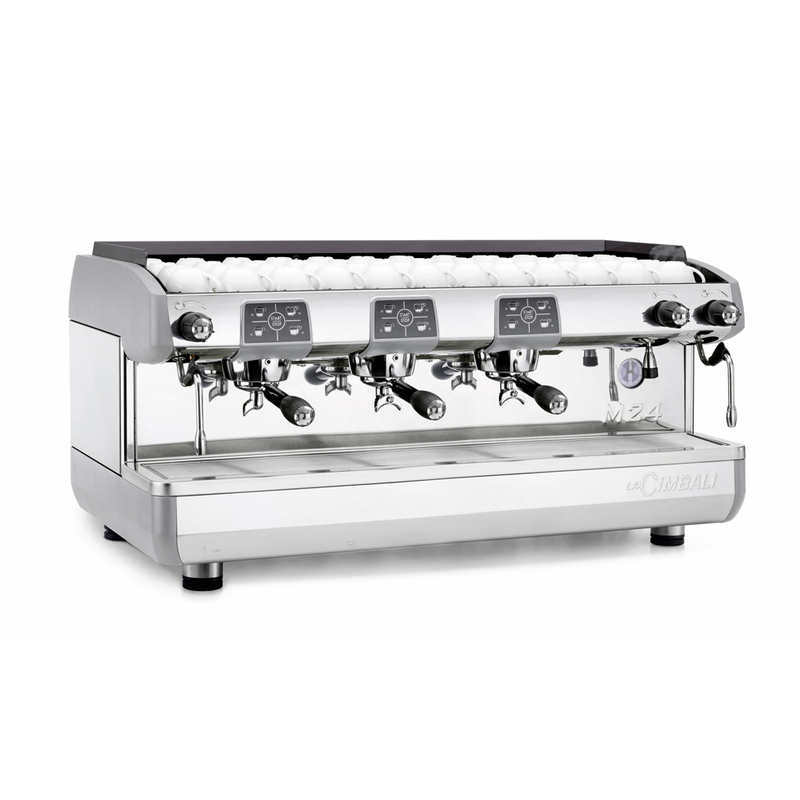 >M24TE has a sleek and refined modern look, enhanced by the stainless steel and titanium grey varnished body parts and by the carefully designed push button panels. 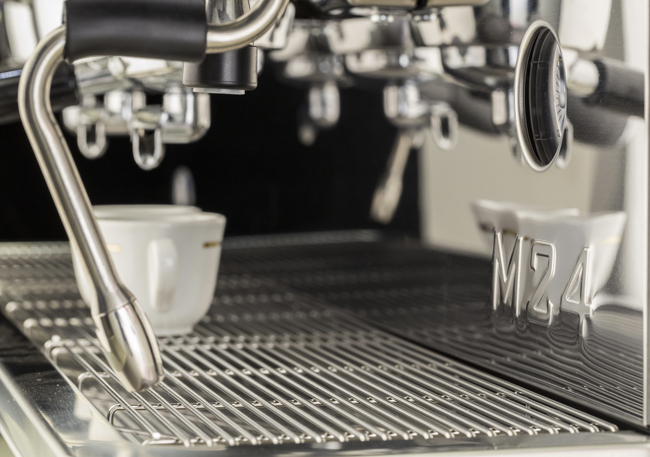 Thanks to the thermal balanced groups, M24TE is able to assure >a high in-the-cup quality with every coffee blend and in any working conditions. M24 TE is available in the 2 and 3 group models. 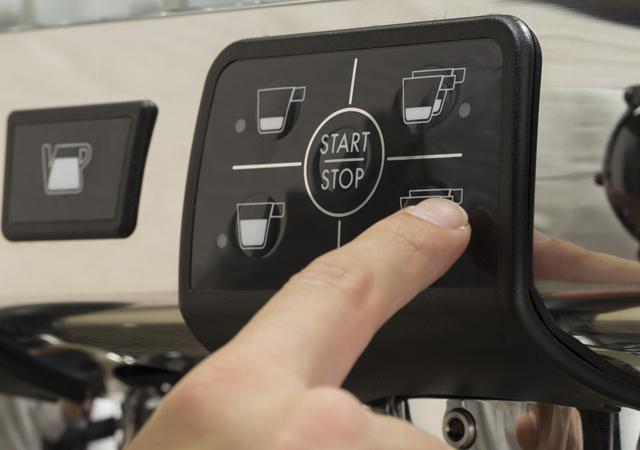 Both versions have push button panels with immediate and precise electromechanical buttons and the chosen selection is signalled by a LED. 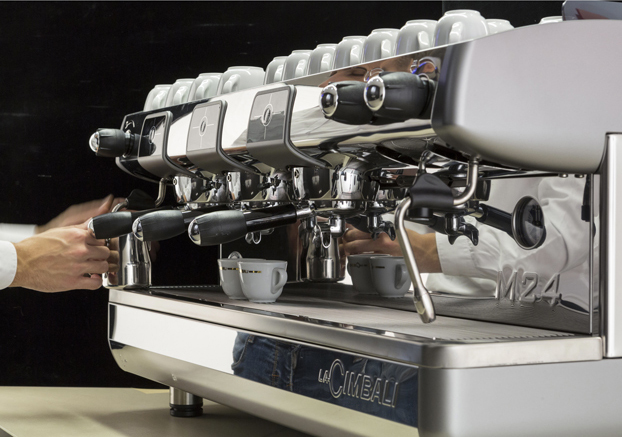 The compact model Select, which completes the M24TE series, is particularly suitable for those who do not want to give up the in-the-cup quality and the reliability of LaCimbali tradition, but only have a limited work space available. 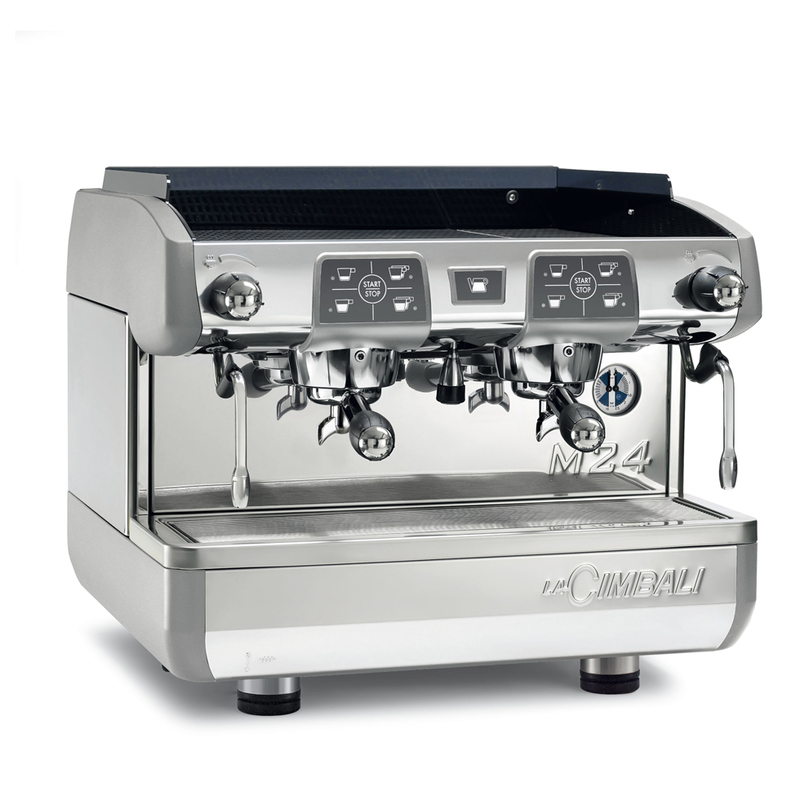 M24 Select TE is available in the dosed 2-group version.